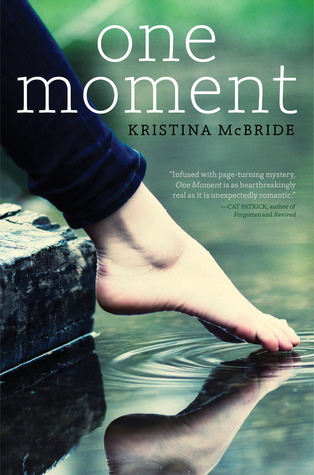 I've got Adam from Kristina McBride's One Moment here today to answer a few questions to celebrate the book's release! When you first found out Joey was dead, what was your first thought? Where’s Maggie? Joey’s dead, but Maggie’s missing. And I have to make sure she’s okay. What’s your best memory with the whole group? Fourth of July, last year. The lake, the bonfire, the fireworks, and Pete playing guitar. Dancing at the party that first night of Memorial Day weekend, before everything our group had become was destroyed. What’s the best kiss you’ve ever had? Still waiting for the best kiss. And hoping. And wondering if it’ll ever happen. The kind that is patient, but always ready to do what needs to be done. Even if that means it’s time to destroy something that I love. Thank you, Adam, for stopping by, and congrats, Kristina, on the release! One Moment is out tomorrow, and is a beautiful and emotional story with some great twists in it, so be sure you guys check it out! Congratulations, Kristina, on the book release!